Also reports of officers at the police station and doctors at a nearby hospital. Was it by chance the canine unit that stopped him? 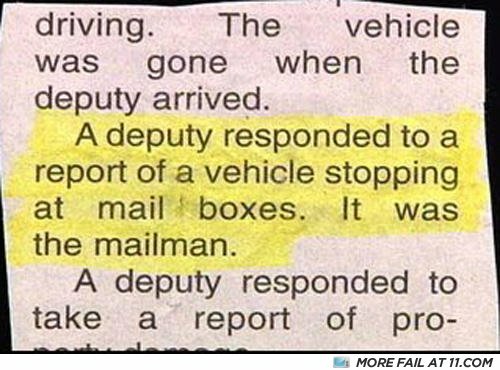 AND IF YOU THINK YOUR MAILMAN IS A SPY THEN DESTROY HIM!